Citrus fruits are widely known for their medicinal properties. Lime benefits in dealing with a number of ailments including swelling, digestive distress, bleeding gums, sore throat, bilious headache, skin infections, and so on. In addition, it helps cure beauty problems like pimples, freckles, blemishes, etc. 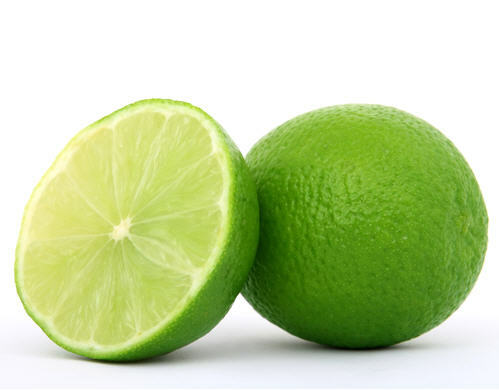 Limes are often mistaken with lemons. Although both citrus fruits are similar in terms of nutrition but they have certain differences as well. For instance, limes are green whereas lemons are yellow in color. Moreover, limes have more astringent qualities but lemons have more anti-inflammatory properties. Plus, lemons are smaller, less sour, and more aromatic than limes. The Latin name for lemon is Citrus limon. Lime includes both species and hybrids of this citrus fruit. It is believed that this herb originated in India. It is also cultivated in Mexico, Agentina, Spain, USA, Turkey, Brazil, Italy, Iran, etc. This fruit belongs to the Rutaceae family. Limes have stimulative, carminative, antiseptic, antiviral, aperitif and haemostatic. As this fruit helps stop cell division, it is useful in prevent cancers. It is well known that limes and lemons prevent scurvy. Plus, it reduces the risk of gout. Moreover, the fruit reduces inflammation associated with diseases like arthritis and osteoporosis. In addition, it helps control diabetes, high blood pressure and prevents heart disease. Lime benefits in improving digestion as well. It cures indigestion, stomach ache, diarrhea and nausea. Besides, lime reduces bad breath. It is also used in various skin and hair care home remedies for natural treatment of pimples, blemishes, premature greying of hair, hair loss, and dandruff. In addition, regular consumption of lime aids in weight loss. It enhances the body’s resistance to various diseases. Plus, lime oil heals respiratory problems, lifts depression and relieves fatigue. It helps fight cellulite and helps in detoxification, too. In terms of nutrition, lime is a good source of vitamin C, vitamin B6, folic acid, potassium, flavonoids and other phytonutrients. Apart from the fruit, the leaves and root of this herb can also be used for therapeutic purposes. When using lime oil in aromatherapy, you can combine it with clary sage and lavender oil. Here’s a video explaining about health benefits of lime essential oil. • Digestive benefits of lime can be derived by using a mixture of cumin seeds and lime juice. To prepare this home remedy, soak some cumin seeds in lime juice overnight. Next morning, keep the mixture out in the sun until it dries completely. Finally, take half a teaspoon of this mixture along with a glass of warm water to heal nausea, vomiting, bloating and indigestion. • Simply consuming a teaspoon of lime juice mixed in a cup of warm water relieves dizziness. You can also try having coconut water mixed with lime juice to relieve nausea. • Having a combination of one teaspoon of lime juice and a pinch of baking soda, added in a glass of water relieves acidity and heartburn. • Lime benefits in dealing with dehydration, too. For this, you need to drink a cup of water mixed with three teaspoons of brown sugar, two teaspoons of lime juice and a quarter teaspoon of salt. • Regularly drinking a cup of buttermilk mixed with a teaspoon of lime juice is useful in controlling high blood pressure. • Combine one teaspoon each of rose water and lime juice. Use this solution as an eye drop to prevent cataract and other eye disorders. • Prepare a mixture by adding four teaspoon of Indian gooseberry juice, two teaspoons of lime juice and one teaspoon of honey. Consume this mixture daily in the morning on an empty stomach. 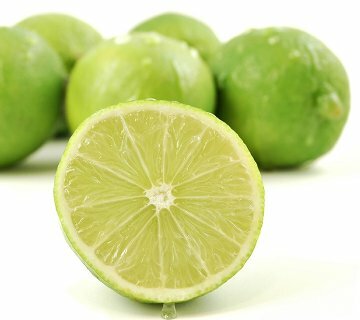 This lime home remedy helps in dealing with diabetes. • To cure swollen gums, drink a cup of lime juice mixed with a pinch of sea salt. 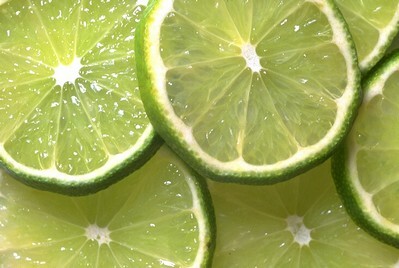 • Squeeze the juice of two limes in half liter lukewarm water and add honey to taste. Sipping this solution slowly before going to bed is effective in getting rid of common cold. • Massaging the affected areas with a mixture of castor oil and lime juice relieves swelling in hands and legs. • Blend one tablespoon of Indian gooseberry pulp along with some lime juice. Massage this mixture on the scalp in the night and wash it off next morning to reduce hair loss. • Benefits of lime for weight loss can be derived by regularly drinking a cup of water mixed with one teaspoon of lime juice. This natural remedy works best when taken early in the morning on an empty stomach. Besides, you can prepare a solution by adding three teaspoons of lime juice, one teaspoon of honey and half a teaspoon of black pepper in a cup of water. Consume this home medicine daily to control obesity. • Application of lime juice rejuvenates the skin and cures acne. Avoid using this remedy if your skin is too sensitive. You can also add rose water and sandalwood powder in lime juice and then apply to get rid of acne scars. Moreover, you can use lime juice in combination with coconut oil or peanut oil. • Rubbing a slice of lime on skin and letting it remain there for about 15 minutes reduces discoloration on skin. When dealing with itching and psoriasis, drink a cup of bitter gourd juice mixed with a teaspoon of lime juice. Follow this therapy for about five to six months. • Applying coconut oil mixed with four teaspoons of lime juice on the affected areas helps in the natural treatment of burns. • Squeeze a fresh lime in a glass of hot water. Next, add a quarter teaspoon of salt and four teaspoons of honey in it. Consume this solution slowly to facilitate the treatment of tonsilitis at home. • Prepare a mixture by adding equal amounts of lime juice, onion juice and ginger juice. Consume two tablespoons of this solution three times I a day to stop whooping cough. • When dealing with sore throat, take an infusion prepared by adding a handful of lime leaves steeped in a cup of boiling water. • Regularly gargling with warm water mixed with lime juice reduces bad breath and mouth ulcers. Follow this procedure a few times in a day. • Mix some asafetida powder in lime juice. Soak a cotton ball in this liquid and place on your tooth to cure toothache. • Having a glass of fresh lemonade can remove fatigue and heal headache naturally. Those who are prone to nervousness can massage the forehead with fresh lime juice to reduce anxiety and relax. Apart from these medicinal uses, limes are also used in culinary preparations for enhancing the flavor and aroma. Besides, it is used in perfumes and certain cleaning products as well. Although lime benefits the health in several ways, excessive use of this herb may cause certain side effects. For instance, it can affect reproductive functions. Moreover, it can lead to the formation of renal calculi because it neutralizes uric acid. It can damage the tooth enamel as well. In addition, lime can cause darkening of skin and appearance of blisters when skin covered with lime oil is exposed to ultraviolet light. I did not know that lime held so much properties.